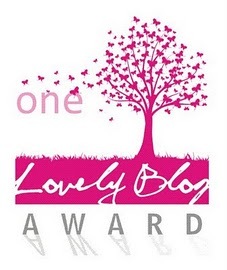 So…I’ve been nominated for the One Lovely Blog Award! Now for my nomination acceptance speech…Yeah right! 1) Thank the one that nominated you. Thank you, thank you, thank you to Cody Jeffrey for nominating my blog! I came across his blog a little more than a week ago and if it wasn’t for my commitments to working on my own projects, I’d be reading his posts like I’d read a thousand page novel. He’s working on a series of novels…just go and have a look! 2) Put up the picture for the One Lovely Blog Award. 3) Tell everyone seven things about yourself. I’m the last child of three children. My siblings are twin sisters, older than me. Being the only male child and a single, I wished I had gotten a twin brother, or that I could get a younger brother. Was kinda lonely admittedly…but I adapted dammit! I have awful sleeping habits. No matter how many times I try to get to sleep early, I either end up staying up late or waking up in the middle of the night and getting engaged in some activity. And then my internal clock has the audacity to want me up and about between 6 and 7 no matter what! I consider myself an introvert, or at least leaning towards that end of the scale. I’m very quiet around people I don’t know, but once I get more comfortable with them, they may start to wonder if I have a few screws loose…in a good way. I get a lot of random, nonsensical ideas that I don’t keep to myself. Probably an extension of my third thing-about-myself, but I’d probably gravitate towards a lifestyle where nature is my main company…with the cop out that I’d want to have technological access to the outside world. I seem to be quite good at memorizing things. Numbers and faces especially. I used to get weird looks and remarks from my friends for rattling off numbers. They’re used to it now…in fact they seem to come to me to remind them of numbers or where they know certain persons from. 4) And nominate seven other people and tell them in their blogs that you nominated them. Thought provoking, beautiful artwork, intriguing stories…these are blogs you don’t wanna miss! J. Michael Edwards at Temporalis Intersectus. Jit Pal at The Man Who Never Existed. Jon Negroni at Jon Negroni. Thomas Heasman-Hunt at serial writist. Mercilo Daviss at Stories by Mercilo Daviss. Ray Ferrer at Ray Ferrer – Emotion on Canvas.